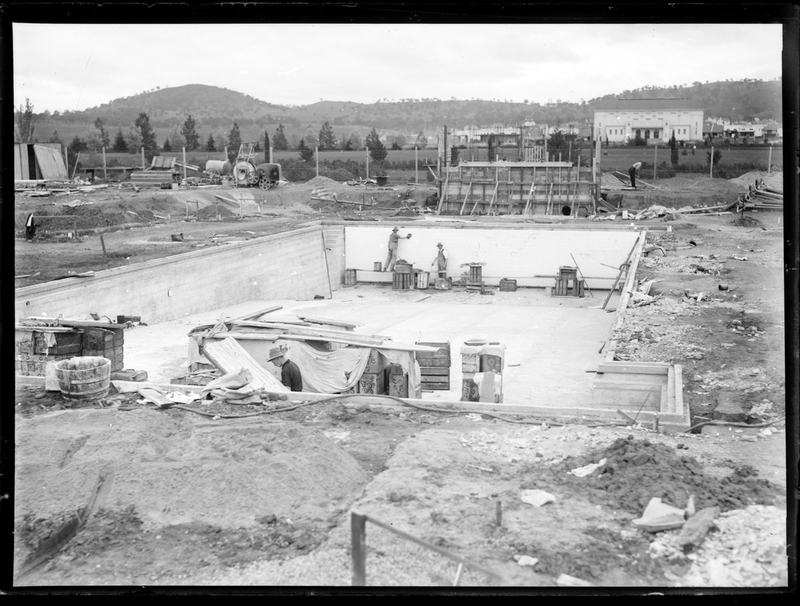 Manuka swimming pool under construction. Wall tiles being installed. 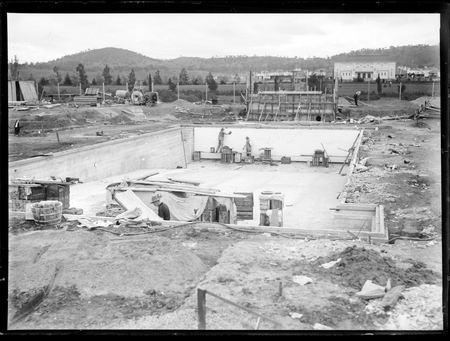 Manuka Circle, Kingston.